Established since 1996, Kickfit martial arts academy continues to teach the martial way. Students can take part in 8 classes a week for adults or 1 hourly class for children (Young warriors). The academy offers an excellent range of martial arts and fitness tuition with two main teaching rooms, a weights gym, changing rooms and shop. For more information contact us on 0115 924 2240 or 07831 777 816. Everyone is welcome whether you just want to get fit, learn practical self defence or train to become a champion. Students are encouraged to help one another and this culture allows beginners and advanced students to train together successfully. Master Richard Hudson's method of instruction involves training his students in a wide variety of skills, constantly showing new ways and techniques to counter attacks. The academy has trained a large number of champions (including multiple world champions) and medal winners from various competitions and continues to do so. All classes have a grading system and students are encouraged to attain these levels on a regular basis. However, the emphasis remains on learning a wide skill base rather than sticking to the confines of a single grading at a time. 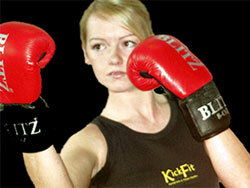 We hope you enjoy looking around the kickfit martial arts web site. If you have any questions or would like to visit the gym, just contact us, we'll be happy to hear from you. Recently Master Richard Hudson has been choreographing fight scenes for the new film Richard III produced by McGibney Productions. Master Richard Hudson and several KickFit students have taken part in this film. Richard has also recently helped choreograph scenes for the Beats and Brains film a Fourmost Films production.